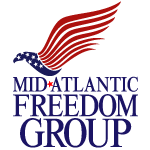 The Mid-Atlantic Freedom Group is a large agency serving retail, recreation and leisure industry companies and clients. Its sister company is Shenny Enterprises, a renown entertainment agency. MAFG aligned with Freedom Warranty in 2016 to provide industry leading services, products and plans to automotive dealers and dealerships. "Freedom Warranty is always revolutionizing the industry in terms of VSC's, GAP, wheel and tire, financing and more," a spokesperson for MAFG stated. "Freedom Warranty allows my agency to offer dealers and dealerships second to none services, products and plans. Any brand, make and model. An industry leading cpo/wrap like VSC. 200k starting miles. A fair, generous and transparent claims process. The easiest to use portal in the industry, and much more", MAFG owner J. Gregory Shenenberger said. "There is nothing like it on the market from an all-encompassing end." MAFG partners with dealers in the American, Asian, Euro, salvage, r-title and exotic vehicle markets and also supports classic vehicle aficionados. "Several of our favorites are older version Ferraris, Lambos and Vettes, so we definitely support the rapport we have in the classics markets. Also love the antiques and resto-mod markets. When we say any vehicle, we mean any vehicle; any definitely means any with us and with Freedom Warranty." "All of my companies cater to consumers, and we would not affiliate or align ourselves with Freedom Warranty if they did not do that or believe that - in terms of being client and consumer focused. In retail, the lifetime value of a customer is an absolute must. It made our decision quite easy to affiliate and align with Freedom Warranty."